The foundation construction begins with a solid base, a solid footer is very important. 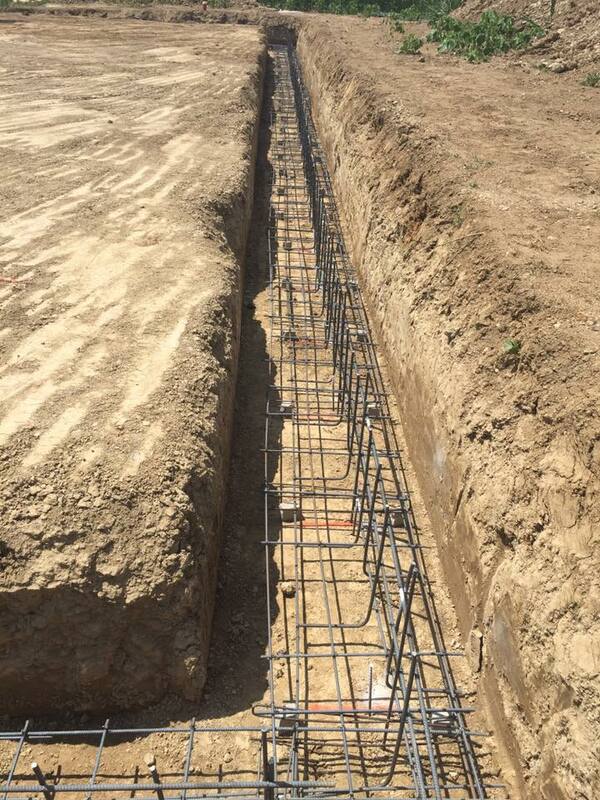 Concrete footers are reinforced with rebar that has been placed in a excavated trench laid out by Stachler Concrete professionals. Stachler ensures that all steps are taken to prevent settling and allowing for a solid support for your foundation. Soil can play a major role into the integrity of your foundation, footers are a especially important when troublesome soils are encountered. The construction of footers is recommended to be left to the professionals at Stachler Concrete so they can assess the soil conditions and lay out a plan for the correct dimensions of your footer. Footer depth, width and placement are a very important part of the process. Some factors other than soil conditions that play a part into the dimensions of your footer are the size and type of construction that is being built. The placement of footings to ensure proper support for the foundation and the rest of the structure are the beginning and most important part of the construction process.